“During the creation process we borrow tissue from our mothers body. That means that your matter or material is all maternal. This is why in Latin mother means “mater” and father means “pater”, he sparked the pattern. So every time you touch your skin, you are not only touching your mother and touching your grandmother, but you are also touching the first mother. and now I create my own WOMBMAN. thank you for doing your best // for it was all you knew. i forgive it ALL. thank you. i love you. all dark & light as ONE. “If you choose to follow the path of meditation, you are likely to encounter what are sometimes referred to as your “karmic knots”-those physical and emotional traumas you have accumulated throughout your lifetime. For instance, when you sit in meditation for a lengthy period, physical tensions in your body caused by stress or old injuries may manifest as a stabbing pain between the shoulder blades, an aching neck, or throbbing legs. Similarly, all your unfinished psychological issues will appear either as physical pain or other body sensations, intense emotions, voices, or as disturbing images that arise seemingly from nowhere. There is no way to avoid these experiences, nor should you. By allowing these sensations and emotions full expression while mindfully paying attention to them, you become free of them. The release of these knots can be described as an unwinding that allows the difficult experience to complete itself. There is no rushing this process, nor knowing when it will be over. There is one category of karmic knot that may be especially hard for you to deal with, as it is for many people. This is the emotional-some would say psychological-trauma that may have occurred within your family of origin. It may involve your mother, father, or both. This trauma may have been caused by a parent who was absent or overbearing, who committed inappropriate actions or failed to take positive action, or who took too little or too much interest in you. Or it may have been the interactions between your parents that was traumatizing to you. In meditation it is all grist for the mill of mindfulness. 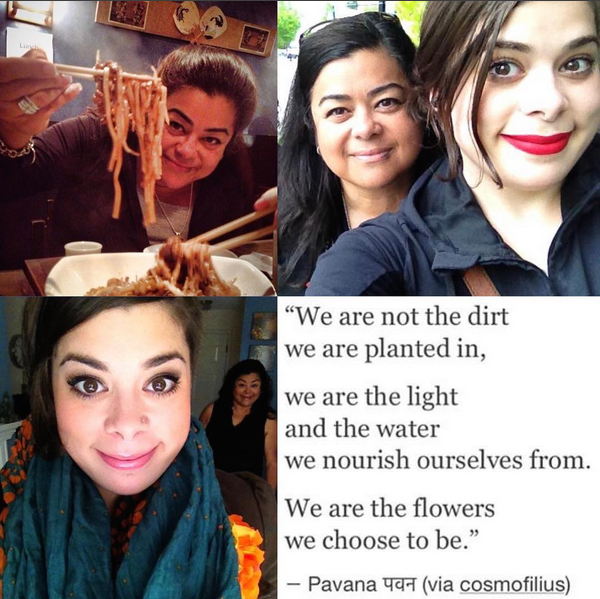 “Difficulty and challenges between mothers and daughters are rampant and widespread but not openly spoken about. 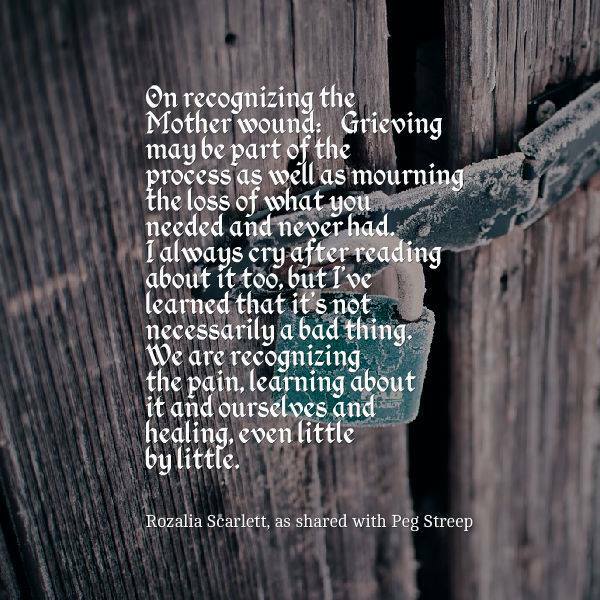 The taboo about speaking about the pain of the mother wound is what keeps it in place and keeps it hidden in shadow, festering and out of view. “In our patriarchal culture, there is the illusion that there’s safety in living life “from the neck-up.” We are encouraged in covert and overt ways to push aside our deeper, complex experiences. It’s what I call a belief that relief is in “away.” It’s the belief that we can push uncomfortable things aside and out of sight in order to be free of them. Whether it’s through throwing trash “away” or making the pain go “away” with a pill or a drink. It’s the deeper belief that freedom and comfort are possible in denial. “As humans, we have two primary needs; the need for attachment and the need for authenticity, according to physician and author, Gabor Maté. In dysfunctional families, a child will typically suppress his or her authenticity needs to preserve the attachment with the primary caregiver, typically the mother. “Among the wounds left by an unloving mother is feeling as though you don’t have a reliable inner compass. Unloved daughters often don’t have enough confidence to trust their instincts or thoughts. “Narcissists have a way of making everything about them—they take up all of the air in the room. Their profound need for attention and praise subverts everyone else’s needs. Unchecked, a parent’s narcissism eclipses a child’s feelings. Narcissistic parents take their children’s every feeling or action personally. These parents are easily angered when a child does not agree with them or mirror them. Parents with narcissistic tendencies are so sensitive to praise and admiration as fuel that it makes them overly sensitive to criticism. So children learn to tiptoe around these emotional minefields, trying not to trigger that anger, or worse, have their parents withdraw love. “We are the sum total of our experiences, which is to say that we are burdened by our pasts. When we experience stress or fear in our lives, if we would look carefully, we would find that the cause is actually a memory. It is the emotions which are tied to these memories which affect us now. The subconscious associates an action or person in the present with something that happened in the past. She continues, “The main purpose of this process is to discover the Divinity within oneself. Every memory of every experience, since the first moment of our creation, eons ago, is recorded as a thought form which is stored in the etheric realm. This incredible recorder/computer is also known as the subconscious, unihipili or child aspect within us. The inner child is very real and comprises one part of the Self. The other aspects are the mother, also known as the uhane or rational mind and the father, the superconscious or Spiritual aspect. The three comprise the inner family, which, in partnership with The Divine Creator, makes up one’s Self I-Dentity. 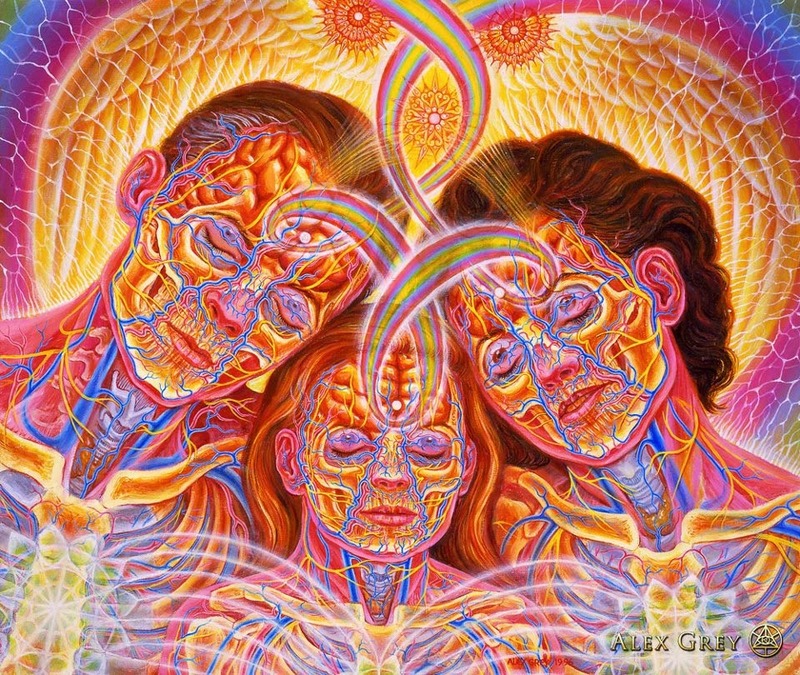 Every human being in creation, every plant, atom and molecule has these three selves and yet each blueprint is completely different. The most important task for people is to find his or her true identity and place in the Universe. This process allows that understanding to become available. 2) To ask that movement and all it contains, be cleansed. Only the Divinity can do that. Only the Divinity can erase or correct memories and thought forms. LEARN MORE ABOUT YOURSELF & YOUR ABILITY TO CHANGE YOUR LIFE WITH THE POWER OF YOUR OWN MIND! ~ MENTAL ALCHEMY IS OUR BIRTHRIGHT :: THE MIND IS A TOOL THAT WE MAY LEARN TO MASTER! ~ GET TO KNOW YOUR EGO BRAIN & HEAL YOUR MIND WITH SELF LOVE & SELF INQUIRY PRACTICE! ~ ACCESS MY SELF CARE PRACTICES & YOUTUBE CHANNEL HEALING PLAYLISTS THAT YOU CAN COME BACK TO AGAIN & AGAIN!